We are headed into the crazy holiday season -- which means two things for me 1) sales (and for me, sample sales) galore and 2) ophthalmology residency interviews! I will keep you all posted on work wear tips and of course the sales on my instagram blog @_moda_md. I wanted to quickly share a great work wear brand to watch for -- Reiss. This is a UK based brand and typical of the European labels they are very well structured and well made pieces. Often I find these brands tend to be a little pricier (but often worth it for the craftsmanship) so I was thrilled to find them on Ruelala. I tried the Ailette dress in cream and loved it so much (and was so thrilled with the $79 dollar price point) that I bought the black one too! There are still a few sizes left! 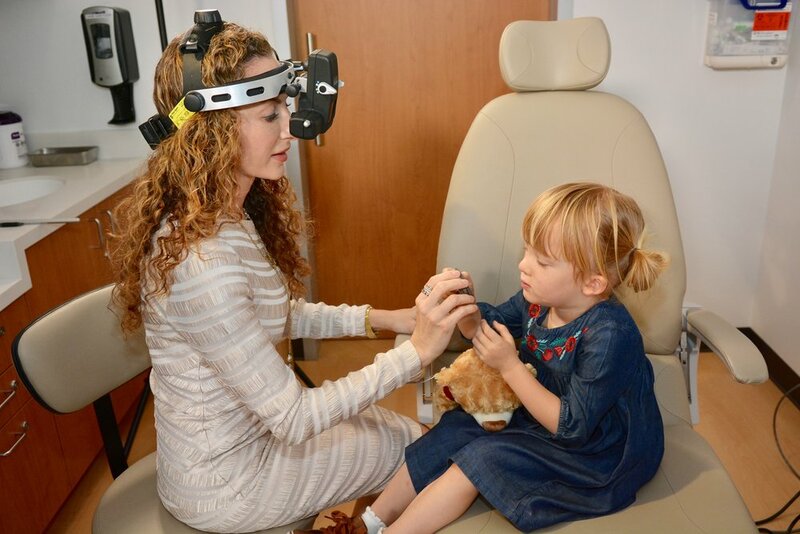 I wore the cream for a video shoot with one of my sweet retinoblastoma patients, Ruby. Here's the video if you want to see this little heroine in action! If you're on a roll here's the latest one on the exciting research we're doing too! 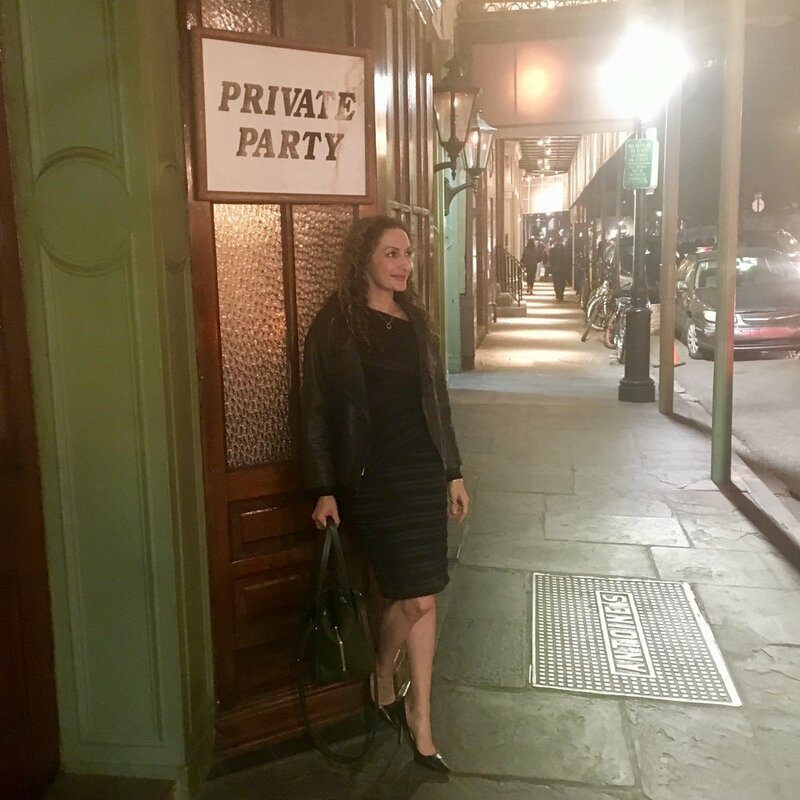 I wore the black to the American Academy of Ophthalmology Meeting and then added higher heels and a leather jacket for a dinner out at Antoine's! 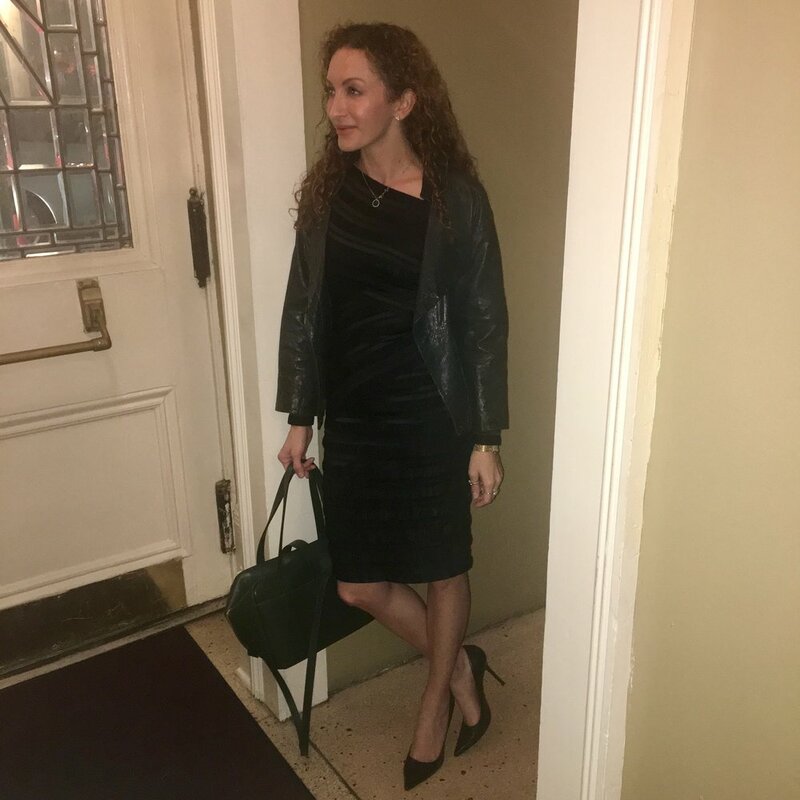 A little leather always takes a look from day to night and is my easiest recommendation for a #desktodinner or #conferencetococktails look. I hope you all have a restful, joyful Thanksgiving filled with family and friends and good food! And good luck with the weekend sales, Modas, I will be watching a few of these Reiss dresses for sure!